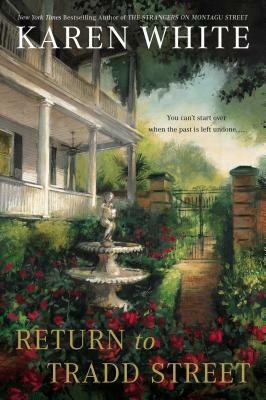 Return to Tradd Street by Karen White brings Melanie Middleton face-to-face with everything she’s been avoiding — her feelings for Jack Trenholm, the future of 55 Tradd Street, and her pending parenthood — but Melanie still falls back on her trademark effort to avoid tough decisions even when decisions look as if they’ll be made for her. Her gift has helped her hone her avoidance skills over the years, but as she continues to live and refurbish one of the oldest houses in Charleston — one she inherited from a man she met only once — her skills are put to the test when another body is found on the property. The infant body bricked up in the foundation of the house raises a lot of questions about the Vanderhorst family tree. Pregnancy can play with anyone’s emotions and confidence, but Melanie is particularly thrown by the uncertainty of the baby’s father’s feelings toward her. Between her mother, Jack, and Sophie pushing her to face the reality of her pregnancy, Melanie is feeling the pressure. White brings readers back to the characters they love, and they will still cheer for Melanie to get over herself and accept her feelings for Jack. This story is a little spookier than the others in the series, but perhaps that’s because it will hit closer to home for mothers and parents. Return to Tradd Street by Karen White is engaging, endearing, and enthralling with its mysteries, its pent up tension, and its historical tidbits, and White’s characters are always ready to give you a warm embrace when you need one. The novel is about letting go of past hurts, embracing our histories as part of who we are today, and moving forward by grabbing a hold of what we want most out of life. Known for award-winning novels such as Learning to Breathe, the Southern Independent Booksellers Alliance 2009 Book of the Year Award finalist The House on Tradd Street, the highly praised The Memory of Water, the four-week SIBA bestseller The Lost Hours, Pieces of the Heart, and her IndieBound national bestseller The Color of Light, Karen has shared her appreciation of the coastal Low country with readers in four of her last six novels. Italian and French by ancestry, a southerner and a storyteller by birth, Karen has made her home in many different places. 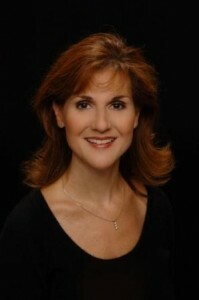 Visit the author at her website, and become a fan on Facebook. Mailbox Monday (click the icon to check out the new blog) has gone on tour since Marcia at To Be Continued, formerly The Printed Page passed the torch. December’s host is Rose City Reader. 1. 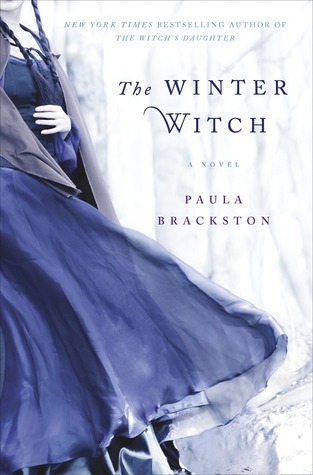 The Winter Witch by Paula Brackston came unexpectedly from the publisher. In her small Welsh town, there is no one quite like Morgana. She has never spoken, and her silence as well as the magic she can’t quite control make her a mystery. Concerned for her safety, her mother quickly arranges a marriage with Cai Bevan, the widower from the far hills who knows nothing of the rumours that swirl around her. After their wedding, Morgana is heartbroken at leaving, but she soon falls in love with Cai’s farm and the rugged mountains that surround it, while slowly Cai himself begins to win her heart. It’s not long, however, before her strangeness begins to be remarked upon in her new village. A dark force is at work there—a person who will stop at nothing to turn the townspeople against Morgana, even at the expense of those closest to her. Forced to defend her home, her love, and herself from all comers, Morgana must learn to harness her power, or she will lose everything. 2. 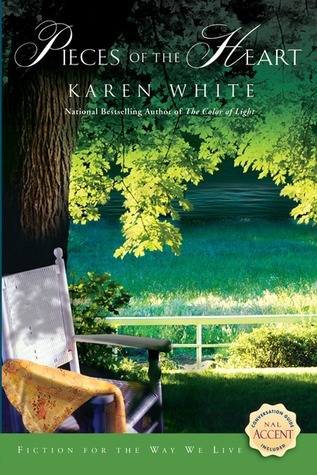 Return to Tradd Street by Karen White for review from the publisher. 3. Somewhere in France by Jennifer Robson from the publisher for a TLC Book Tour in January. Lady Elizabeth Neville-Ashford wants to travel the world, pursue a career, and marry for love. But in 1914, the stifling restrictions of aristocratic British society and her mother’s rigid expectations forbid Lily from following her heart. When war breaks out, the spirited young woman seizes her chance for independence. 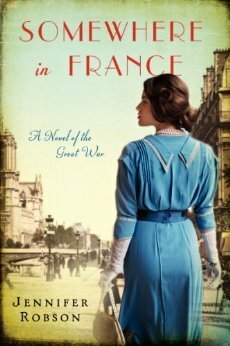 Defying her parents, she moves to London and eventually becomes an ambulance driver in the newly formed Women’s Army Auxiliary Corps—an exciting and treacherous job that takes her close to the Western Front. 4. Taking What I Like by Linda Bamber for review for a TLC Book Tour in January. 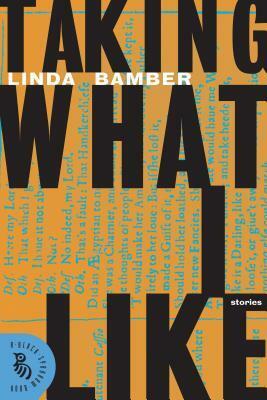 Linda Bamber has combined her love of fiction from the past with her propensity to shake things up, taking what she likes and gleefully sharing it with us. As entertaining and contemporary as these stories are, they also remind us what we, too, love about the classic texts she takes apart and reassembles. Bamber’s tales, like the best translations, exist independently while reminding us not to forget the plays and novels they treat. Alternating between admiration and attitude, the stories layer their plots with commentary, history, and politics, pausing as they build only to make room for the sanity and wit of the authorial voice. Emotional and genuine, these stories are also playful, inventive, and hilariously funny. From her long study of the Bard, Bamber has absorbed some of Shakespeare’s own empathy, understanding, and expressive flair. It is not too much to say that her work takes its place in the same literary sphere as the works it engages. 5. Pieces of the Heart by Karen White from my SantaThing at LibraryThing. To escape the stress from her all-consuming job as an accountant, Caroline Collier joins her overbearing mother at the family’s vacation home in the mountains of North Carolina. But the serene beauty of Lake Ophelia cannot heal Caroline’s heart, which is still broken by the loss of her younger brother, who died when she was seventeen. And the tension between her and her mother still simmers. Only their neighbors, the husband and daughter of one of Caroline’s childhood friends, seem able to penetrate her cool reserve, giving Caroline the courage to face her biggest fears-and dive headfirst into life. 6. 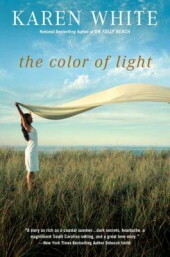 The Color of Light by Karen White from my SantaThing at LibraryThing. With a lyrical Southern voice, White delivers an emotionally moving novel of a woman in search of a new beginning and a man haunted by the past.At thirty-two, pregnant and recently divorced, Jillian Parrish and her seven-year-old daughter find refuge and solace on Pawleys Island, South Carolina. Jillian had experienced her best childhood memories here-until her best friend Lauren Mills disappeared, never to be found. At the time, Linc Rising, Lauren’s boyfriend and Jillian’s confidant, had been a suspect in Lauren’s disappearance. Now he’s back on Pawleys Island-renovating the old Mills house. And as ghosts of the past are resurrected, and Jillian’s daughter begins having eerie conversations with an imaginary friend named Lauren, Jillian and Linc will uncover the truth about Lauren’s disappearance and about the feelings they have buried for sixteen years. 7. Still Love in Strange Places by Beth Kephart from my SantaThing at LibraryThing. 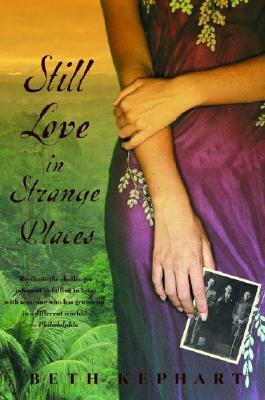 When Beth Kephart met and fell in love with the artist who would become her husband, she had little knowledge of the place he came from—an exotic coffee farm high in the jungle hills of El Salvador, a place of terrifying myths and even more frightening realities, of civil war and devastating earthquakes. Yet, marriage, she finds, means taking in not only the stranger who is one’s lover but also a stranger’s history—in this case, a country, language, people, and culture utterly foreign to a young American woman. Kephart’s transcendently lyrical prose (often compared to the work of Annie Dillard) has already made her a National Book Award finalist. In each of her memoirs she has written about love, using her own life to seek out universal truths. 8. 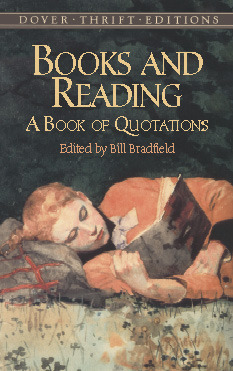 Books and Reading: A Book of Quotations edited by Bill Bradfield from my SantaThing from LibraryThing. Over 450 memorable quotes about books and reading from writers, political figures, and celebrities. With provocative declarations from John Keats, Mark Twain, Virginia Woolf, Andrew Carnegie, Theodore Roosevelt, James Thurber, and Oprah Winfrey, among others. A handy aid for speech writers and public speakers, this entertaining collection will delight anyone who loves books. 9. The Descent by Alma Katsu for review from the publisher. Lanore McIlvrae has been on the run from Adair for hundreds of years, dismayed by his mysterious powers and afraid of his temper. She betrayed Adair’s trust and imprisoned him behind a stone wall to save Jonathan, the love of her life. When Adair was freed 200 years later, she was sure that he would find her and make her existence a living hell. But things turned out far different than she’d imagined. Four years later, Lanore has tracked Adair to his mystical island home, where he has been living in self-imposed exile, to ask for a favor. She wants Adair to send her to the hereafter so she may beg the Queen of the Underworld to release Jonathan, whom she has been keeping as her consort. Will Lanore honor her promise to Adair to return? Or is her intention to reunite with Jonathan at any cost?